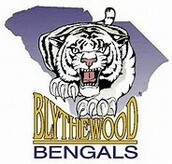 Blythewood High School, home of the Bengals, is one of the top choices in Richland 2. BHS is filled with many different activities and oppurtunities for students. Many different programs are available such as Culinary, Journalism & Broadcasting, and Agriculture. The wide range of majors at Blythewood, allows students to take classes that could potentially help them to decide their major. These exceptional programs give students the ability to see what it would be like to work in that field. For example, in the Agricultural class, students interested in being a veterinarian are given the oppurtunity to take home and care for a puppy for the weekend. Along with the numerous programs offered at Blythewood High School, there are also a lot of different sports or extra-curricular activities. Along with grades, colleges also look for extra-curricular activites. They want a student that is well-rounded. 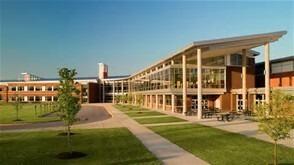 BHS offers sports such as soccer, football, lacrosse, basketball, softball, and track. There are also many different clubs and honor socities that students can join in order to be more involved. Clubs such as Leo club, and Beta club give students the chance to give back to the community through an array of community service projects. BHS gives students oppurtunities that other schools might not offer. Blythewood High engineers students for success, and helps them to further their education. Over the years, many students have graduated with high honors, and went on to prestigious schools in order to pursue their career goal. BHS is a great school, and has helped young people go off to do great things. Orchestra is just one of the many different programs BHS offers. The beautiful front entrance of BHS.